Halloween is less than a week away! I’m even more excited than usual this year because this is Jack’s first Halloween. Although at 6 months old, I’m pretty sure that means we will dress him up around 4:00, take an unreasonable amount of pictures and plaster them all over Facebook and Instagram, then put him to bed right around the time we’ll be expecting trick-or-treaters. I’ve always bought the candy I love to eat, because otherwise all that’s left over is banana flavored Laffy Taffy. So gross. I typically buy anything and everything that combines peanut butter and chocolate. While I love my Reese’s, I’m super sympathetic to those kids with allergies. 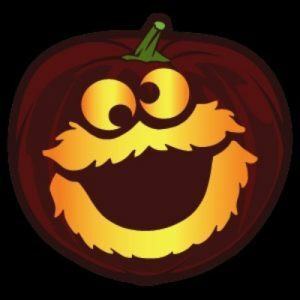 I recently found out about the Teal Pumpkin Project. 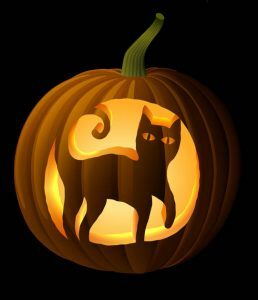 Kids with peanut and other food allergies have a hard time trick-or-treating because they can’t eat a lot of the things that are passed out. 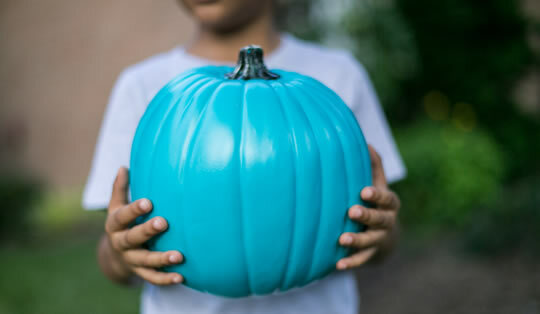 The Teal Pumpkin Project is a way to be more inclusive of children with food allergies. 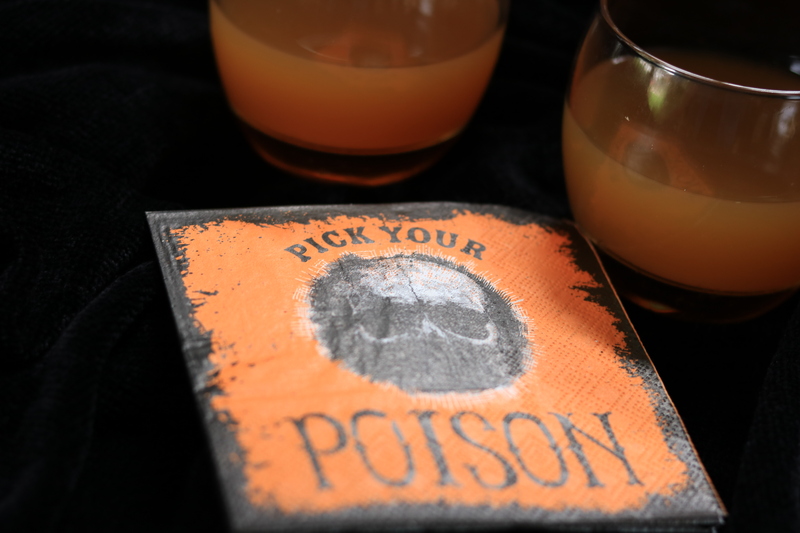 By painting one of your pumpkins teal or hanging one of these printable signs, you are signaling to parents and children that you have non-food treats available. I ordered some glow sticks off Amazon to give out as my non-food item. Kids love glow sticks! This will be my first year participating in the Teal Pumpkin Project and I’m looking forward to it. 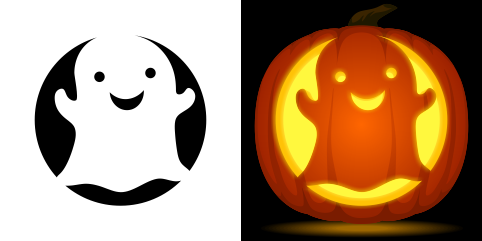 I used this stencil last year and it turned out really well. I skipped the eyes and just stuck to the silhouette of the cat. It was a snap to carve! 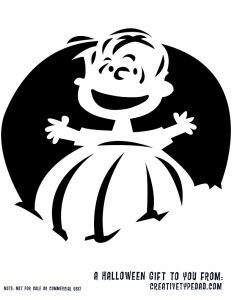 When I see “It’s the great pumpkin, Charlie Brown” it takes me back to Halloween as a kid. My little Jack loves his Minions so this one is for him! 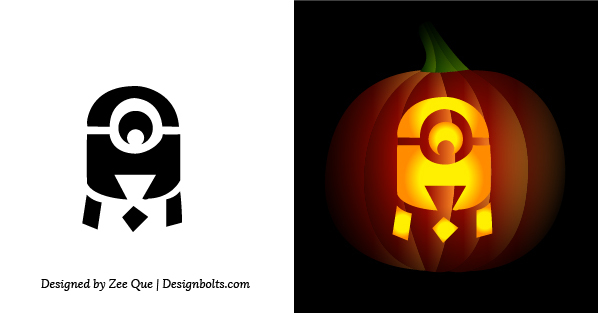 This is the easiest minion stencil I came across. 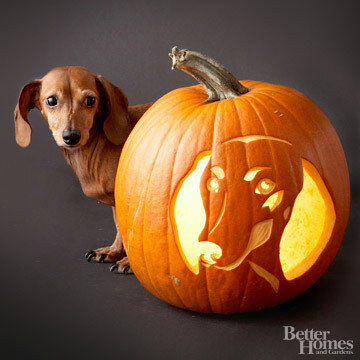 Last year I carved a pumpkin of my dog without a stencil. These would have been really helpful! 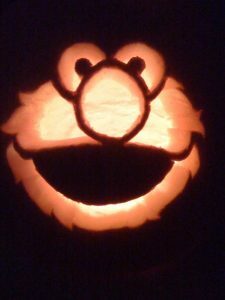 This is a cute Elmo and it looks easy! 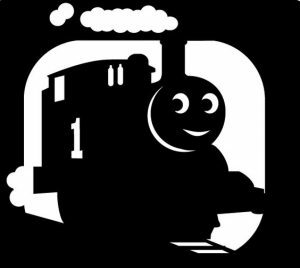 Little trick-or-treaters will love Thomas the Train! 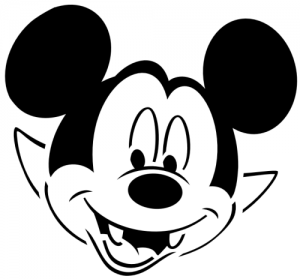 This stencil is more advanced, but it’s really cute!